My bridesmaids bouquets were completely different from each other ... allowing the attendants the fun of choosing their own flowers and style. I love using these beautiful Elegant bouquet holders by Oasis if you wish to add a touch of glamour to your bridesmaids bouquets. 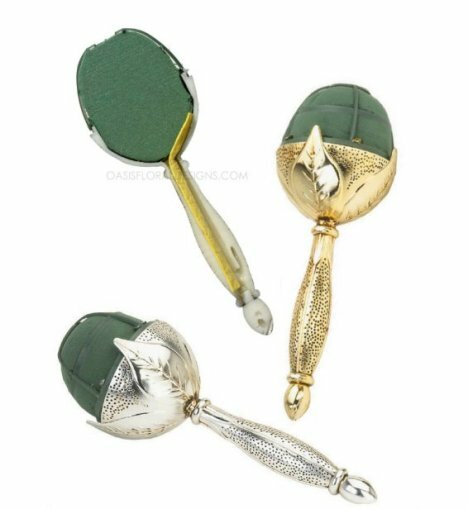 Filled with MaxLife foam, these bouquet holders come in either silver or gold and in three styles: hammered, twist or leaf pattern. 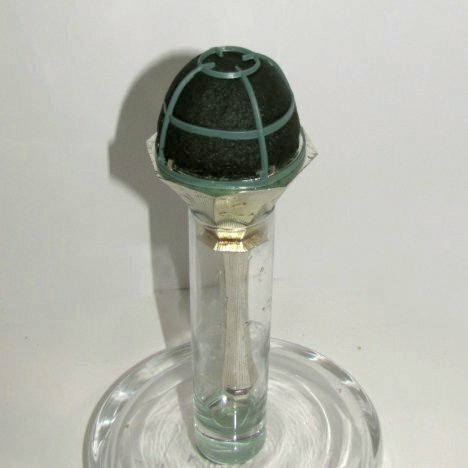 The "surprise inside" is a hollow handle filled with a super wick that draws water up the handle when placed in a vase of water and continues top replenish the water supply to the flowers. 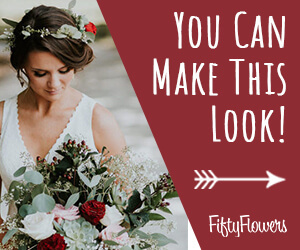 It's extremely convenient to do your bouquets ahead of time, pop in the vase and be ready to go on the wedding day. These are not metal, they are hard impact plastic with a metallic look finish. That assures no rusting or pitting due to moisture. Remember, you must first process your flowers correctly immediately upon arrival. The are the key to keeping your flowers fresh up to your wedding day. Products like flower food, Quick Dip and Finishing Touch are essential for DIY flowers at home, since you do not have a florist cooler available. Air conditioning and regular home refrigerators are designed to take moisture out of the air, while professional florist coolers put moisture INTO the air - with around 80% to 90% condensation. Today's wedding flowers are bred to be hardy, and can certainly survive in normal air temperatures if treated properly upon arrival. Be sure to read all recommendations for each flower and greens you choose. Soak your bouquet holder by floating it on top of water that has been treated with flower food. It will sink rapidly, absorbing the water that will sustain your flower's life. Don't force it under the water, as this can create dry pockets in the foam, which in turn can easily wilt a flower stem. To hold the bouquet holder steady, I pressed a piece of florist clay on the bottom of a bud vase, and then pressed it firmly down on a pillar candle glass holder. These are cheap and can be found at any dollar store. Not only does it keep your design from toppling over while designing, but provides a place to store each bouquet while transporting and then to put the bridesmaids bouquets on the table later at the reception hall.